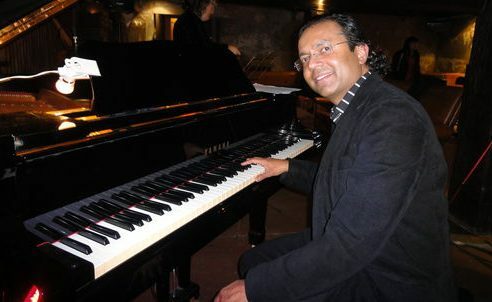 Ben is a pianist, composer and arranger formally trained in Western Classical Music and has a Masters Degree in Music – majoring in Jazz Performance from the ‘University of Auckland’. He also has a degree in Physics and Post Grad Diplomas in Business Management, Computer Science and Travel Management. He gave up a career in Travel Management, Foreign Exchange and Advertising to make music a full- time career choice. Ben has performed at shows and events in over 25 countries including Dubai, Australia, UK, Singapore, Hong Kong, France, Nepal, Sri Lanka and Bahrain. Some of the shows he has performed at locally and internationally include – the Cannes Film Festival- France, the Publishers Ball- Hong Kong, New Years Celebrations -World Trade Centre -Dubai, party for President Bill Clinton in Mumbai, Microsoft Conference-Sri Lanka, Afro- Asian Games Closing Ceremony – Hyderabad, Post-Match party for the All Blacks- Mt Eden Auckland, events hosted by the Prime Minister of NZ . He also performs on a regular basis at Ceremonies and events hosted by the Governor General of NZ. 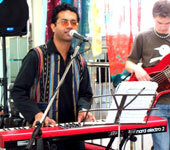 Ben and his band have performed at most of the leading jazz and music festivals in Australasia. Ben also composes music for Advertising jingles, Film soundtracks, Corporate Films, TV shows and A/V’s. He has played for many musicals and theatre productions. A jingle he produced for StarMovies won Gold at the Pro-Max A/V Awards –Singapore.